Product code: 884 Categories: Sold Items, Sold Rings. 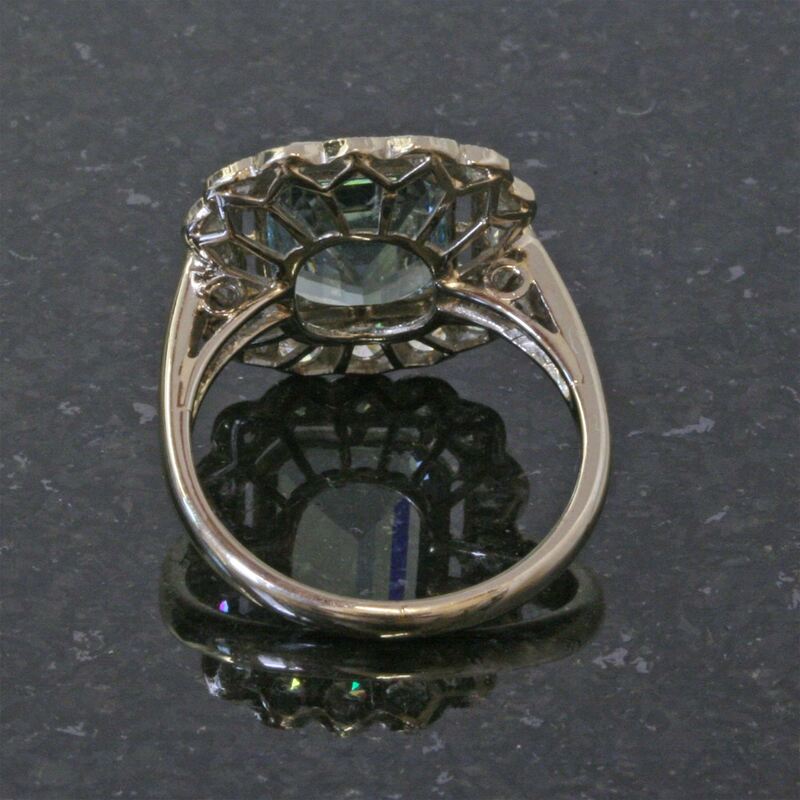 Here is a sensational 18ct white gold aquamarine and diamond ring. 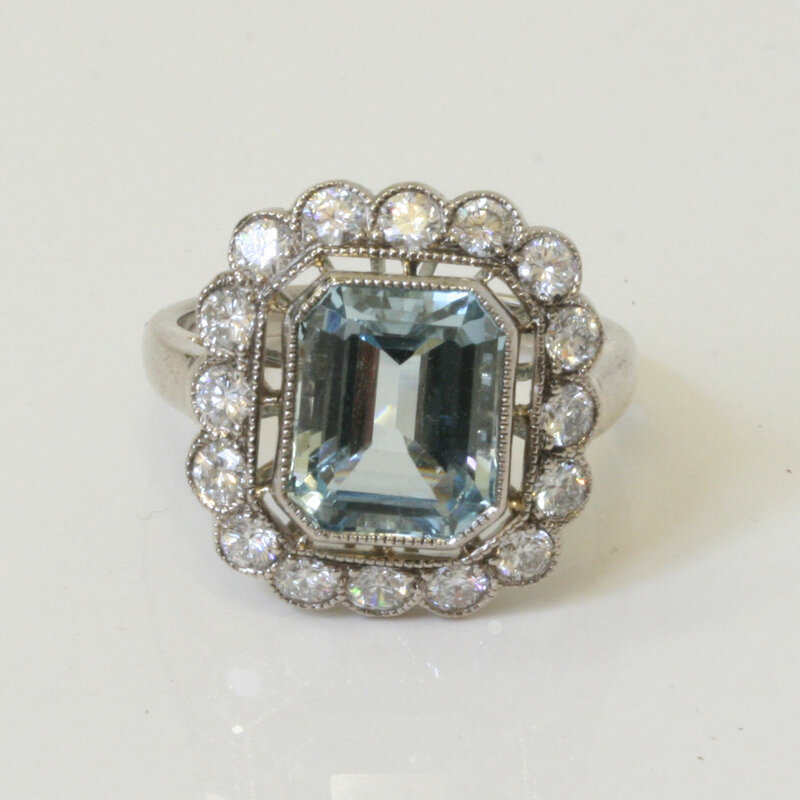 The setting of this ring is simply devine, and the aquamarine in a wonderful emerald cut, measures 3.5cts in size. Surrounded by 16 round brilliant cut diamonds giving it that extra sparkle, they total 1.08cts. Sitting in a bezel setting, the aquamarine is nicely protected and very easy to wear. From every way that you look at this ring, you will admire it and it will certainly be admired when you wear it. If you love aquamarine rings and are after a ring of beauty, then try this one on and you will most certainly fall in love with it.